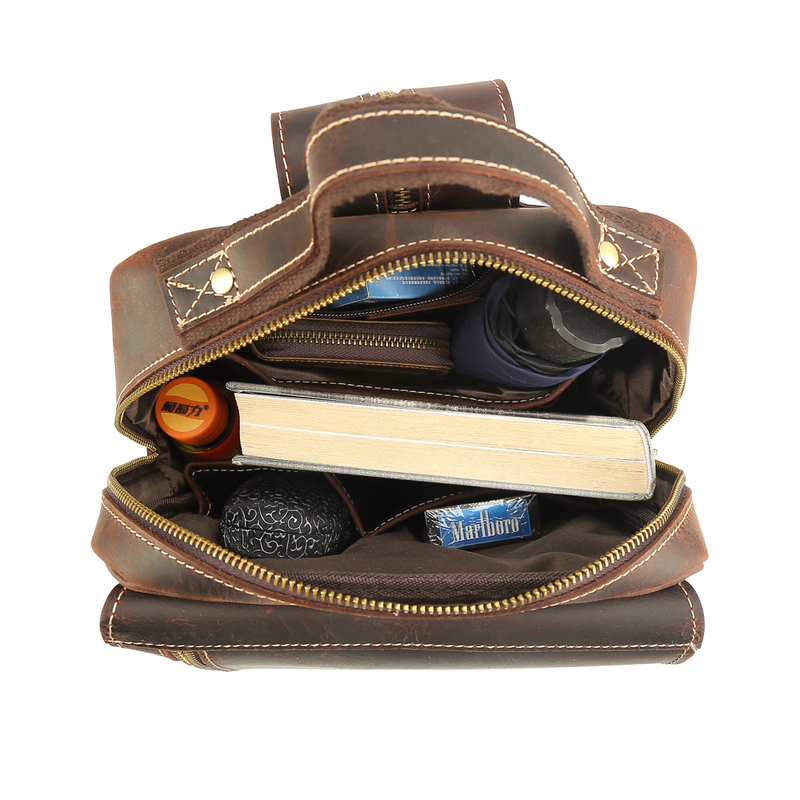 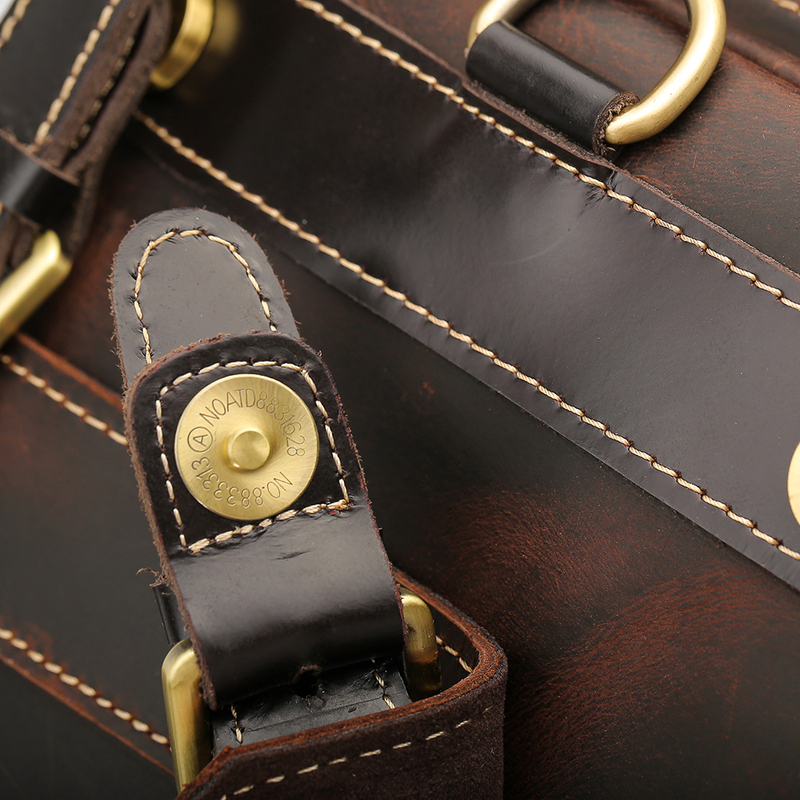 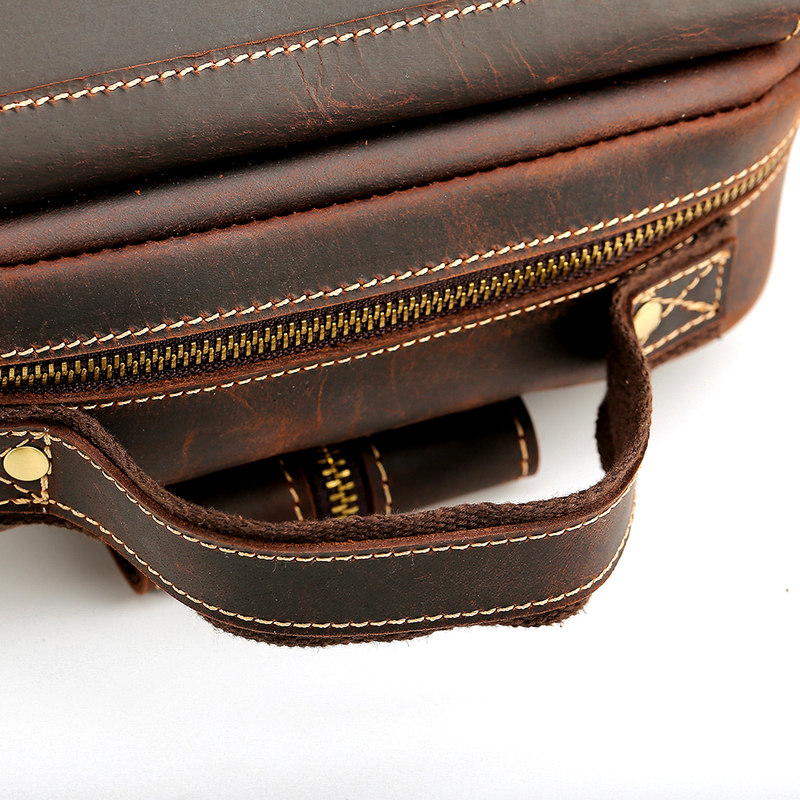 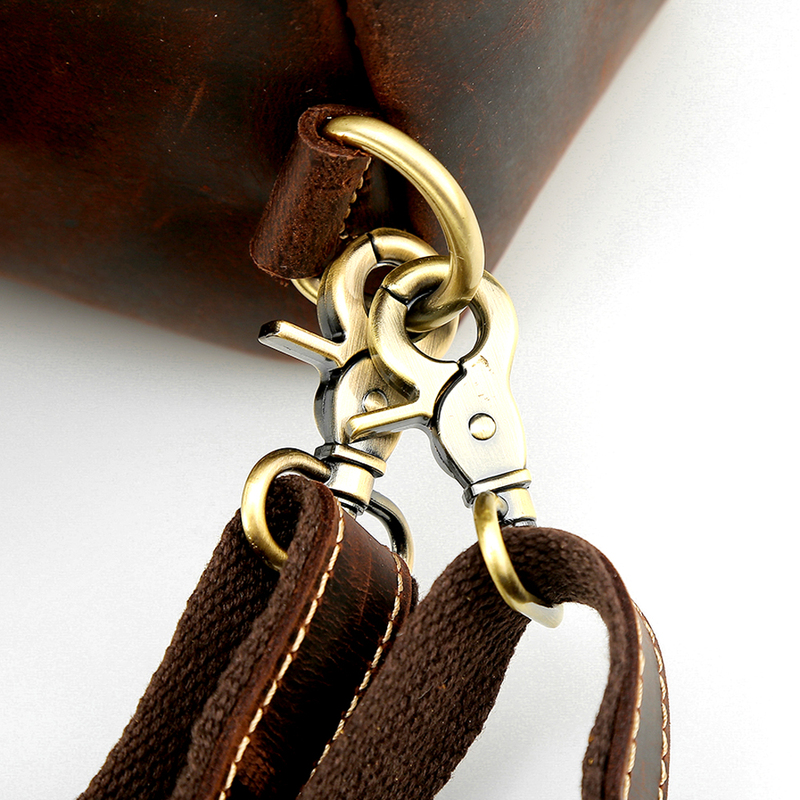 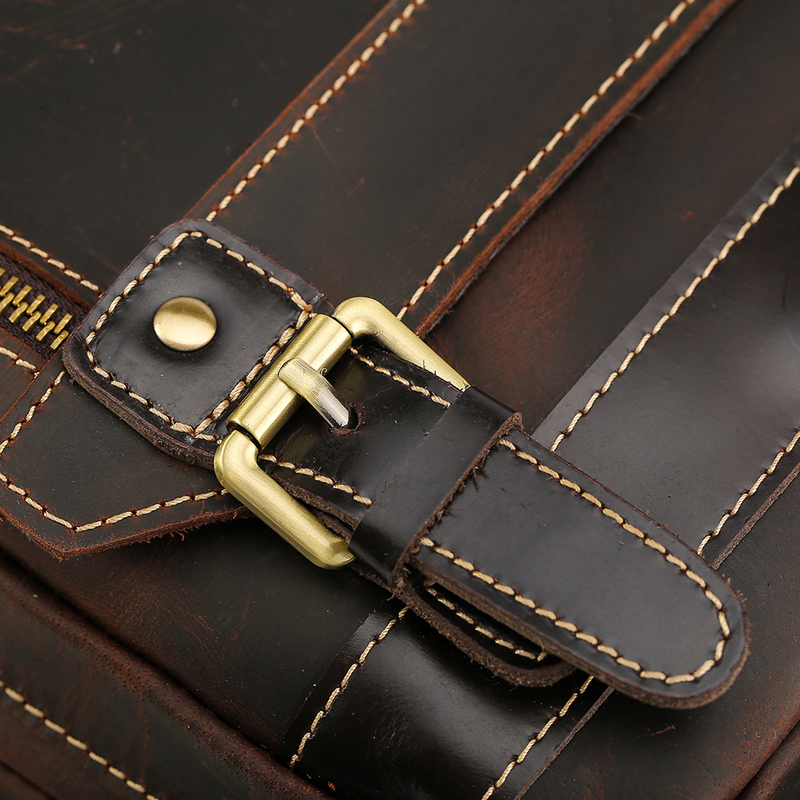 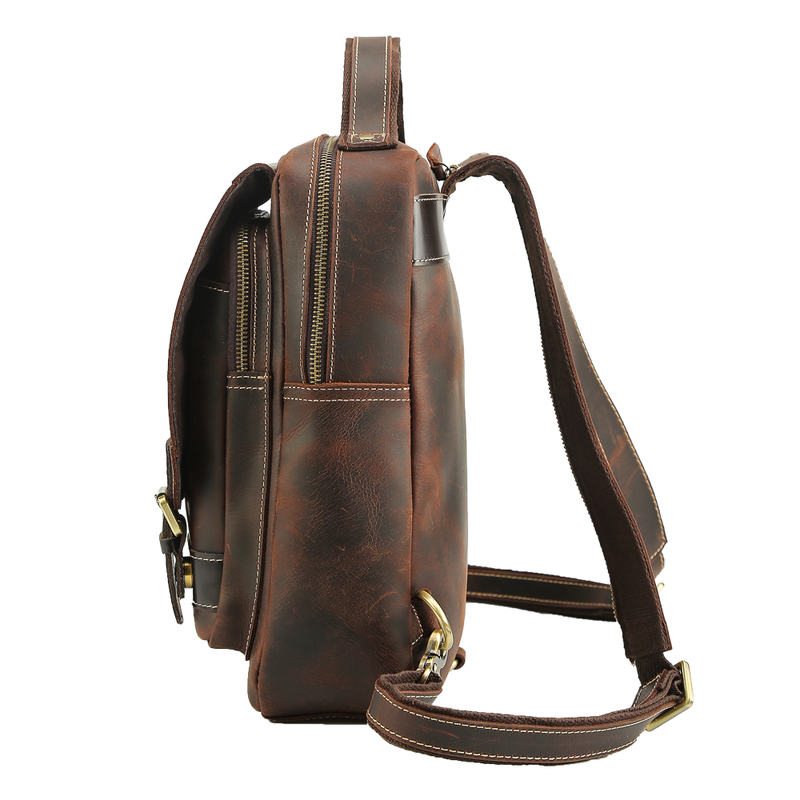 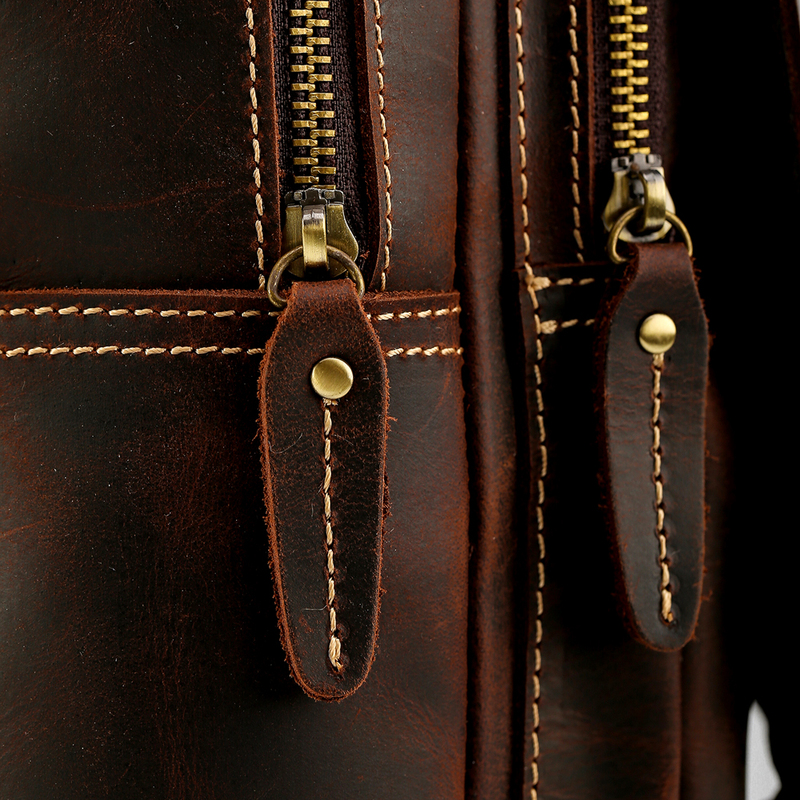 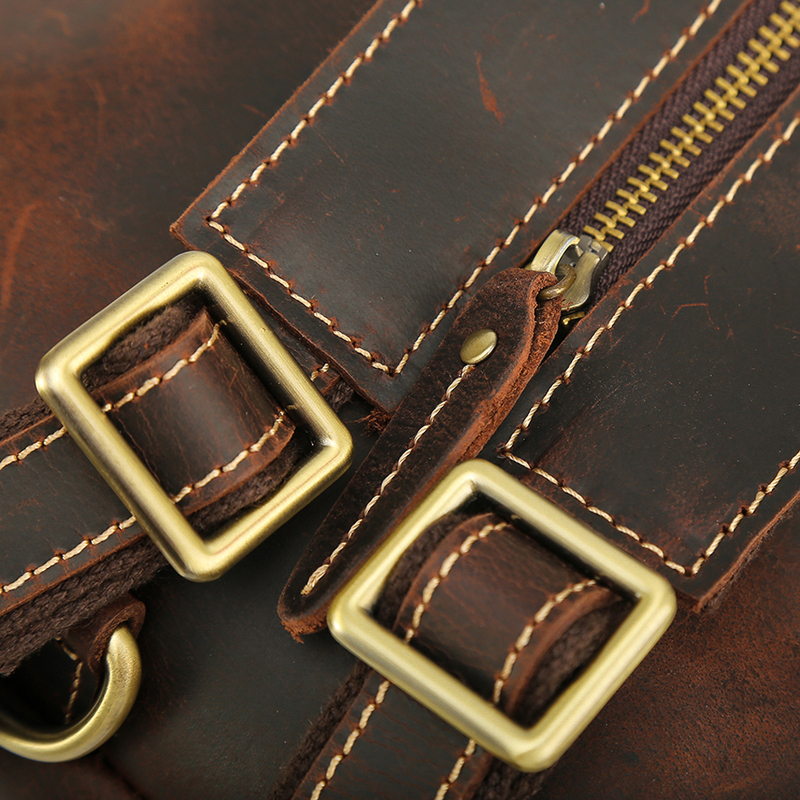 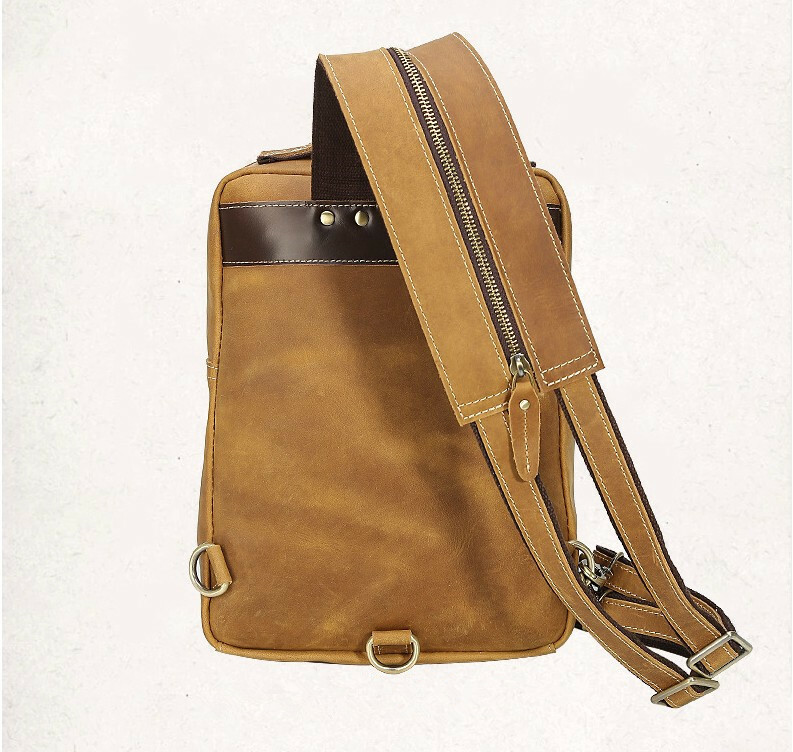 Convertible Double-Use: You can simply use it as a daily bag, travel bag; stylish top handle bag or a special sling bag, but you don't need to remove the strap. 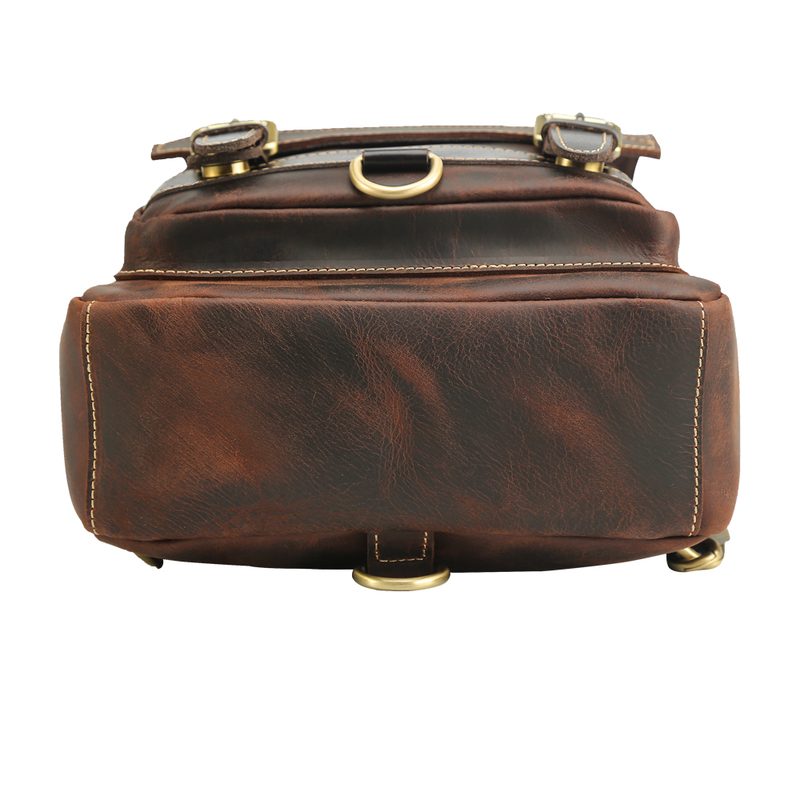 Dimension: 9(L) x 3.54(W) x 12.6(H) inch; Weight Approx: 2.86 lbs. 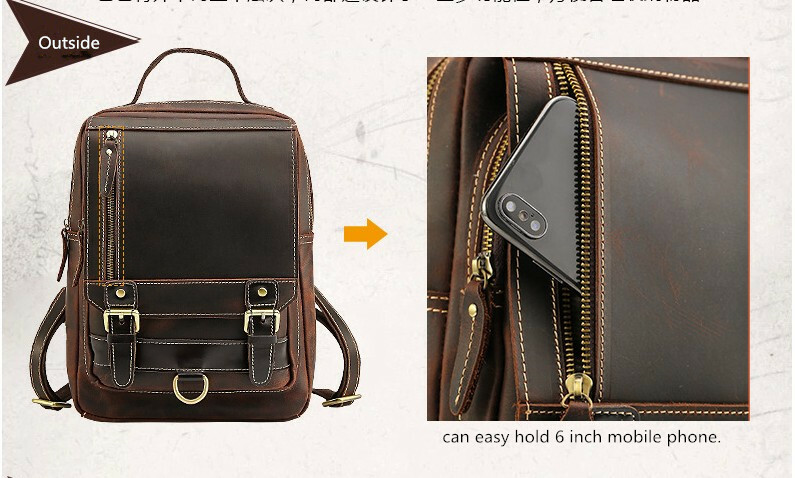 Tough stitching, Adjustable shoulder strap; Zipper and Magnetic snap closure.It fits Ipad Air (9.7 inches) and cellphones, keys, wallets, school books and supplies, camera, large binder, folders, textbooks etc. 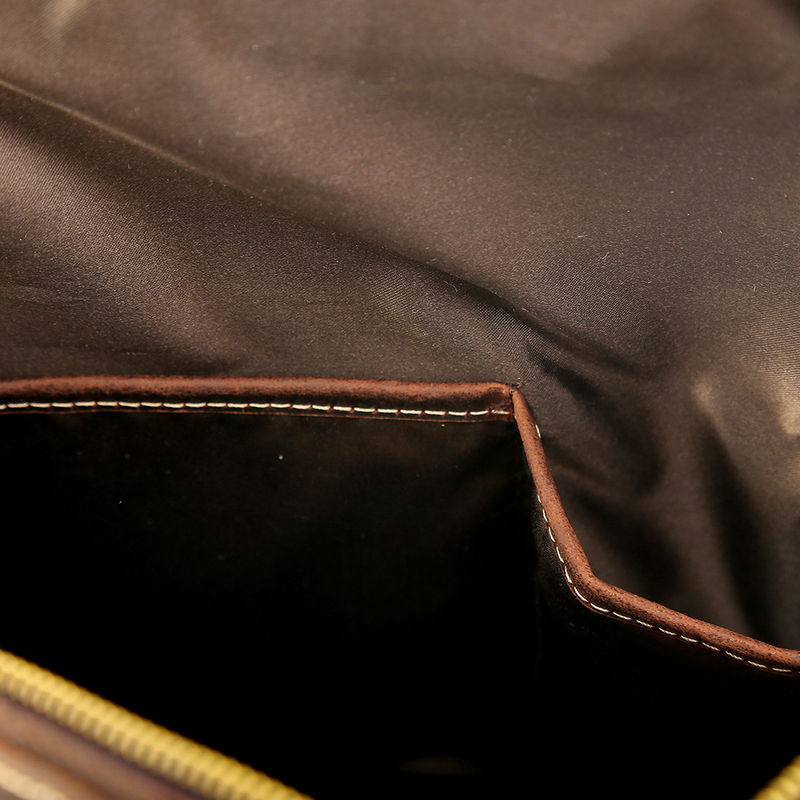 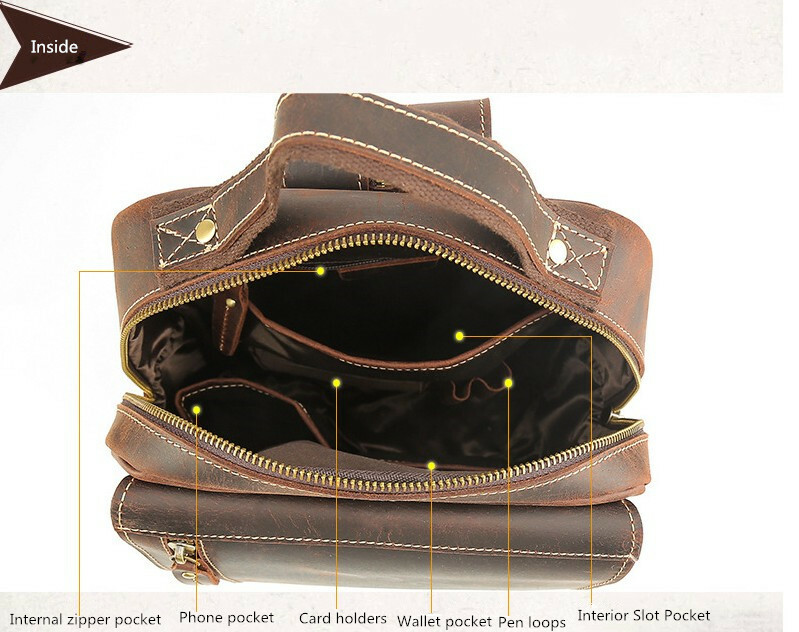 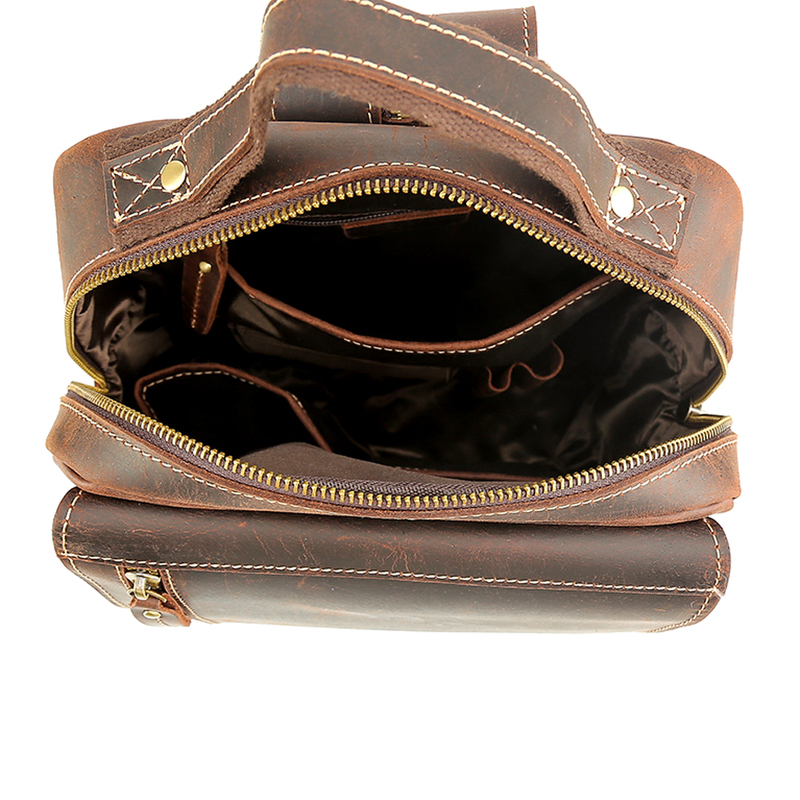 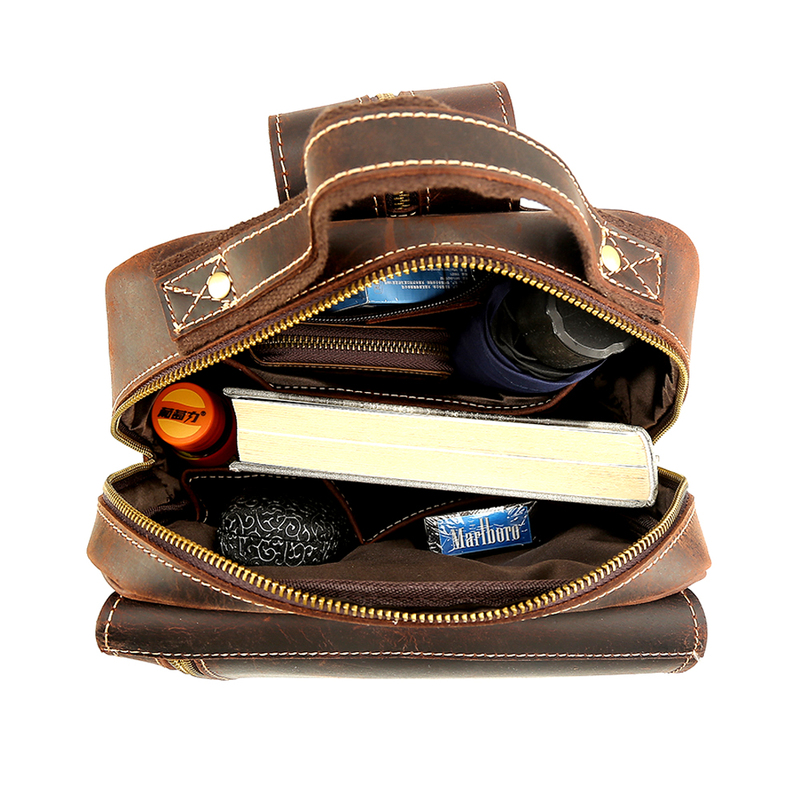 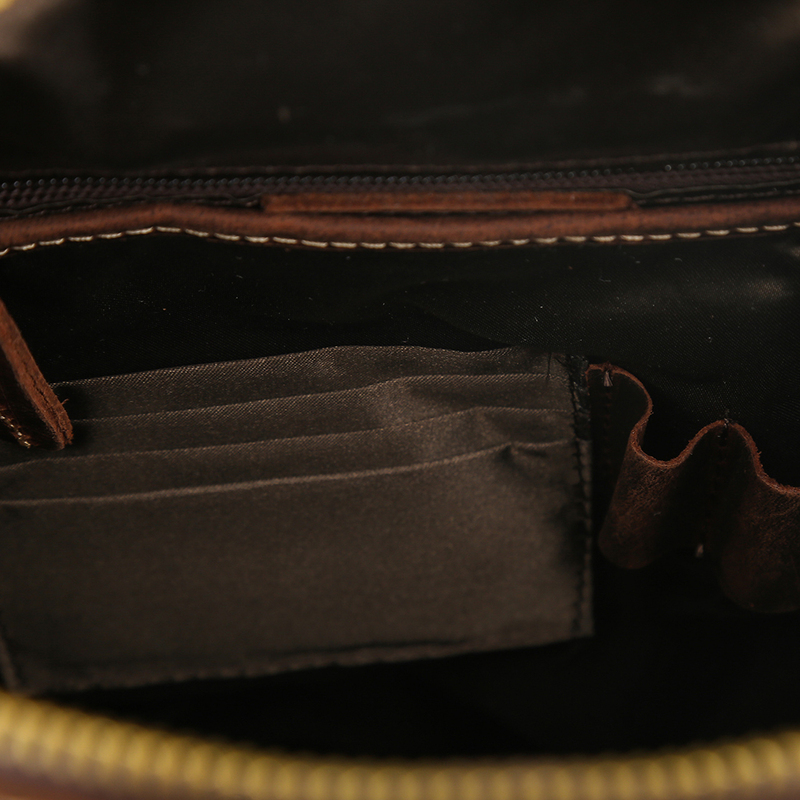 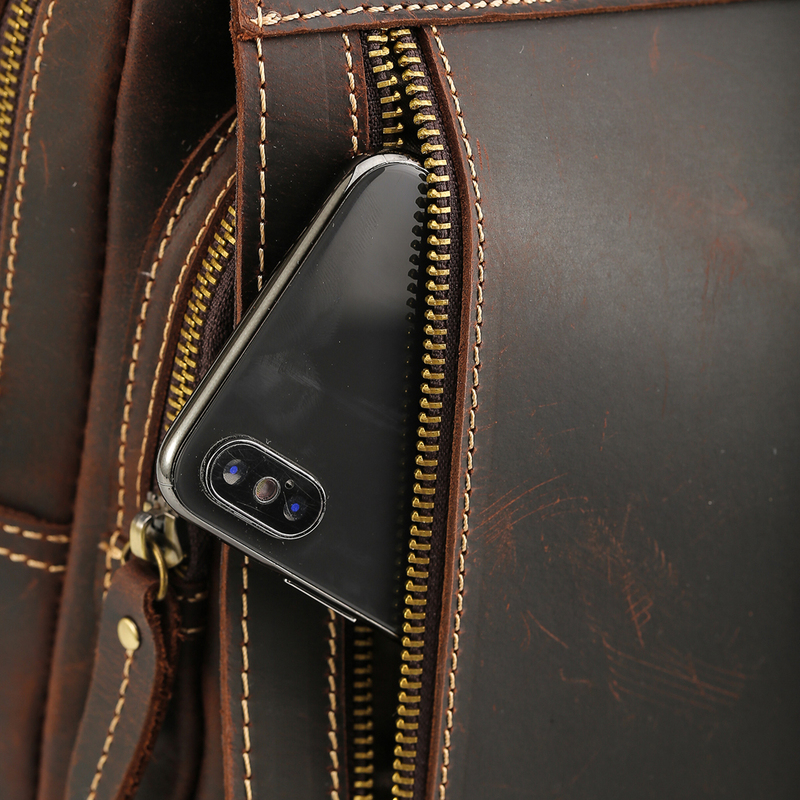 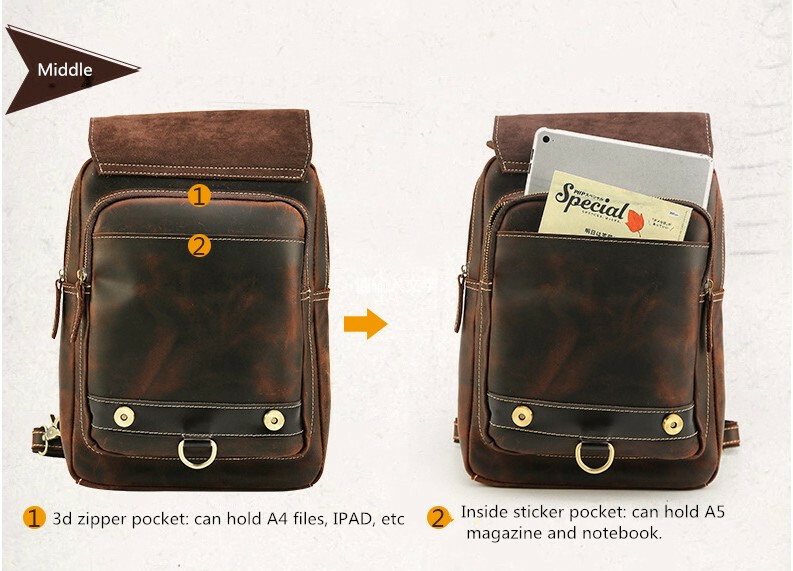 Practical Pockets: 1 Main Compartment for A4 magazine, wallet and even 9.7 inch ipad, 1 Open Wall Pockets for organized documents paper, 1 Front Zipper Pocket can hold pens or Pencil case,sunglasses and small things, 1 Zipper Pocket in the flap. 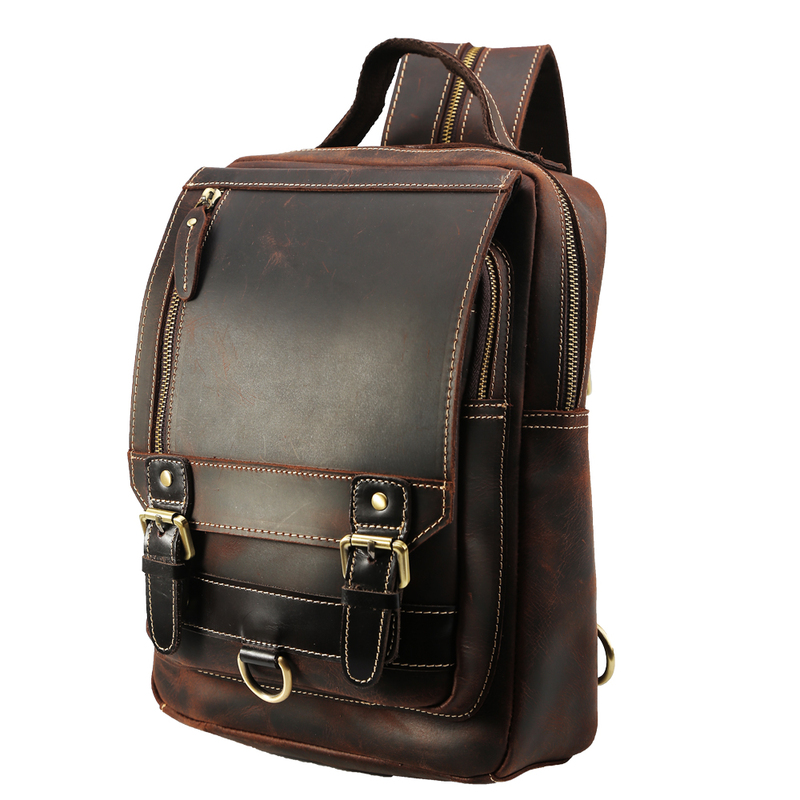 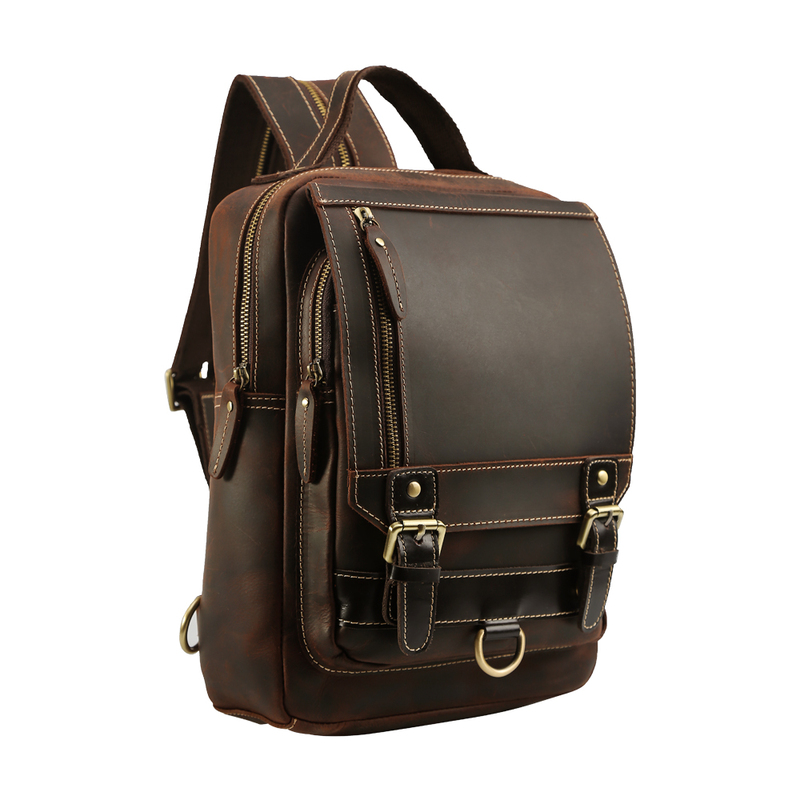 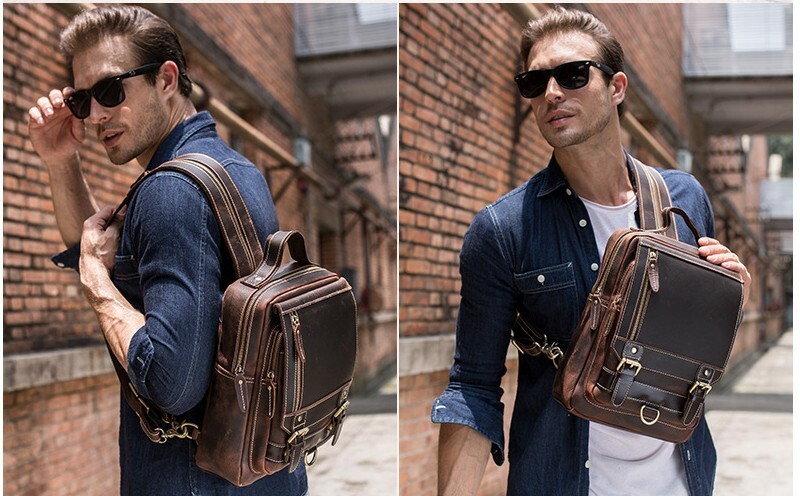 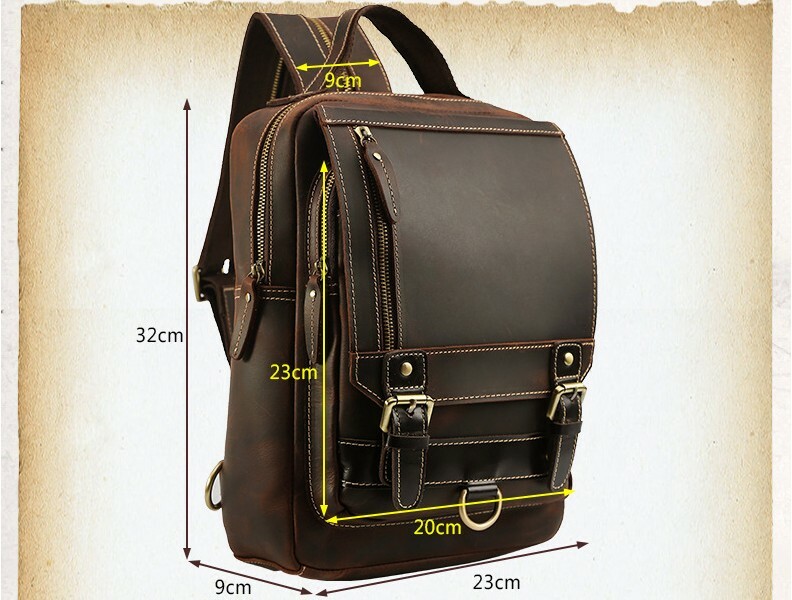 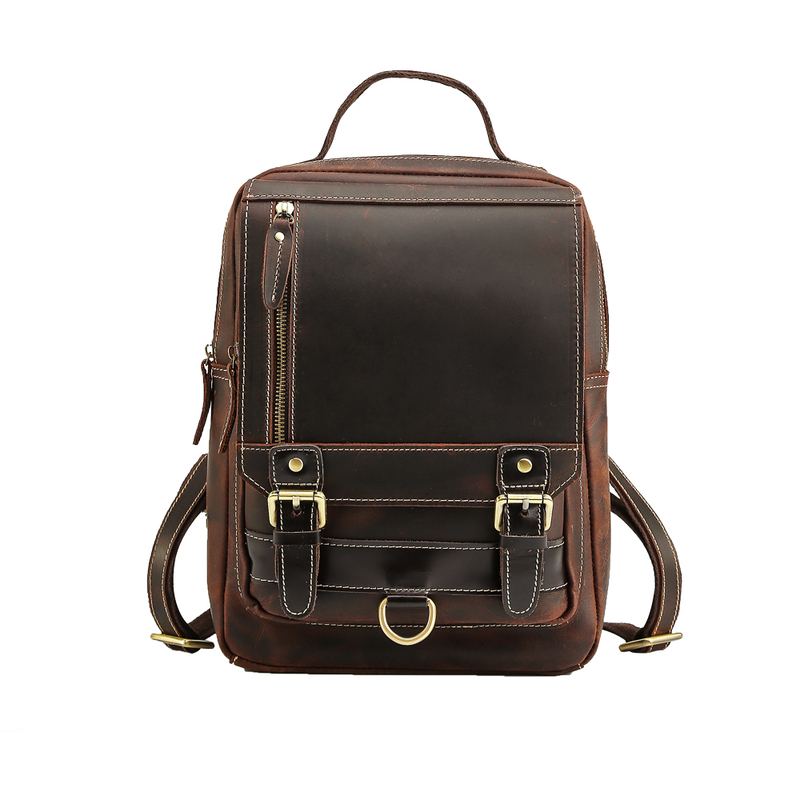 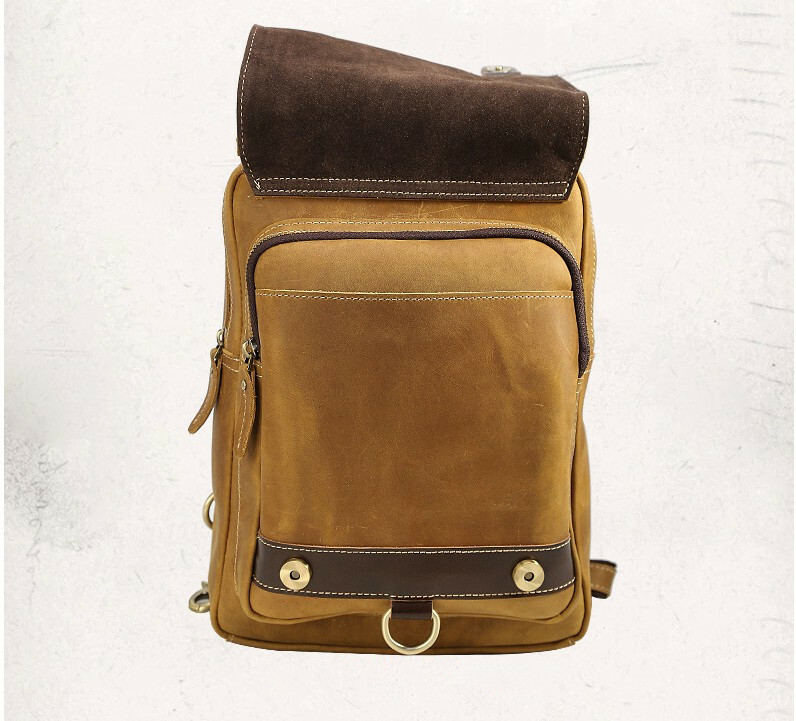 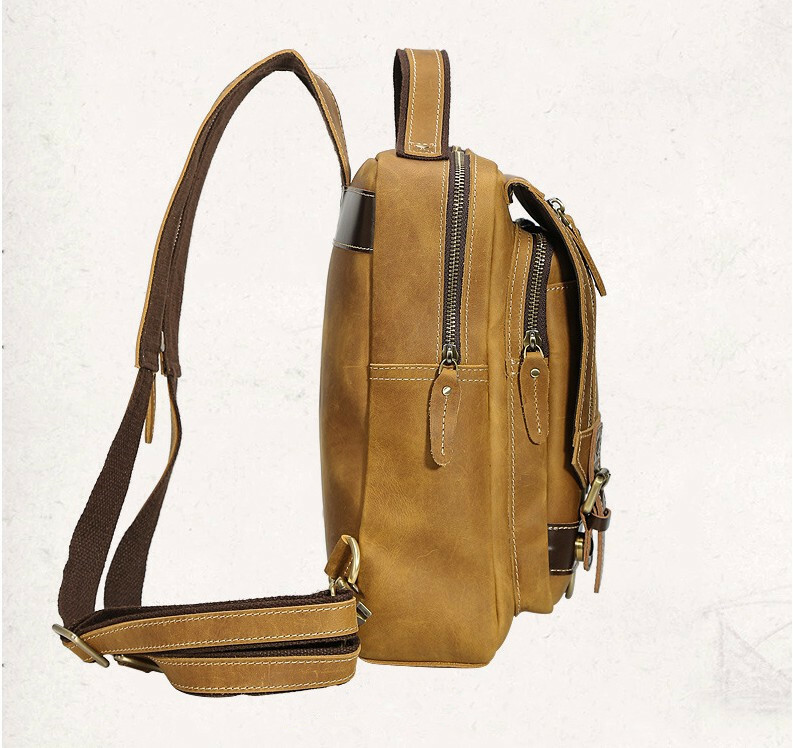 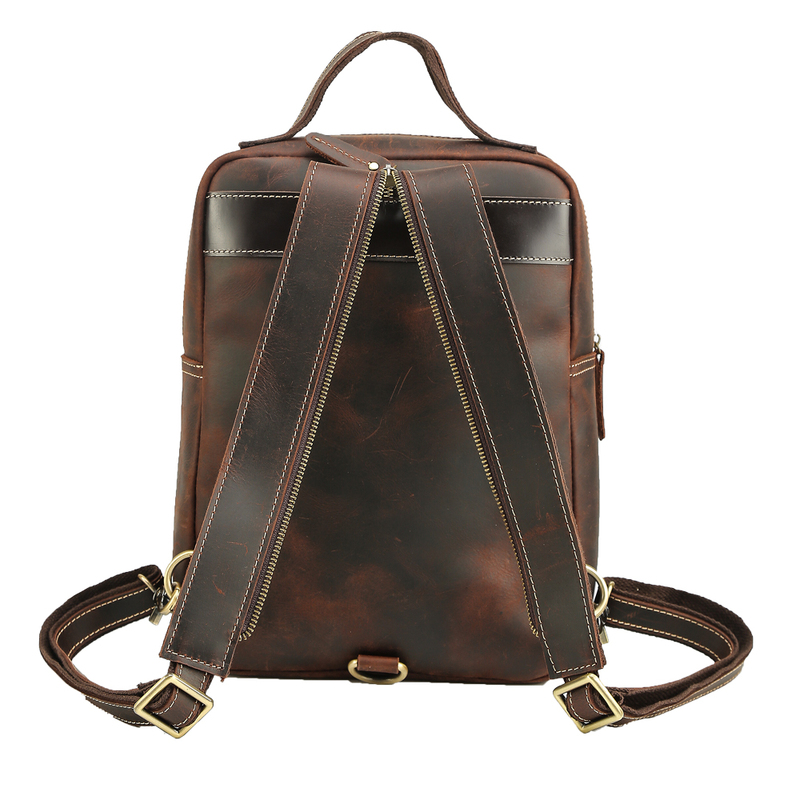 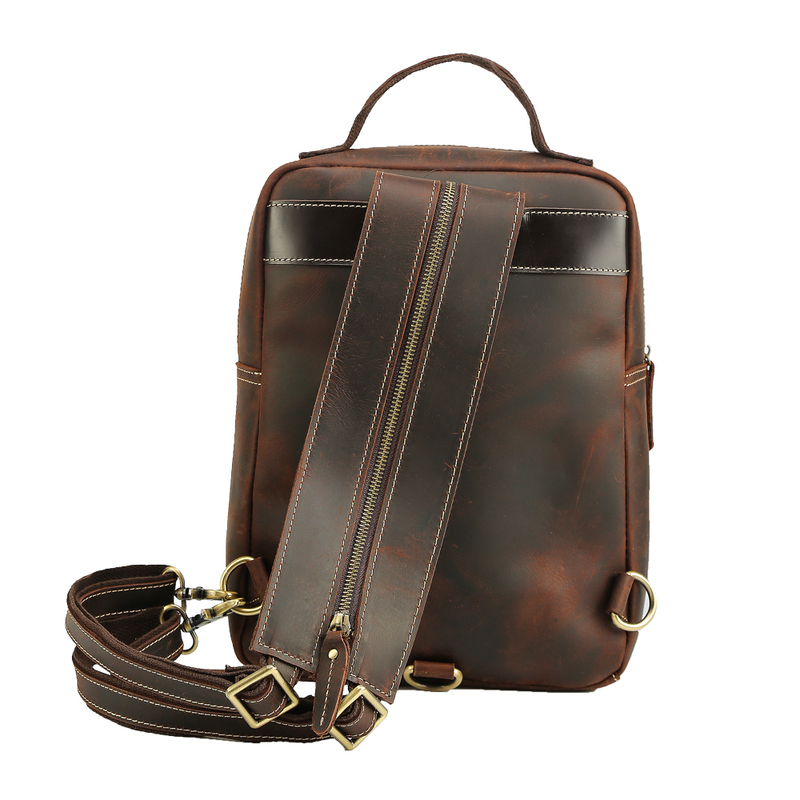 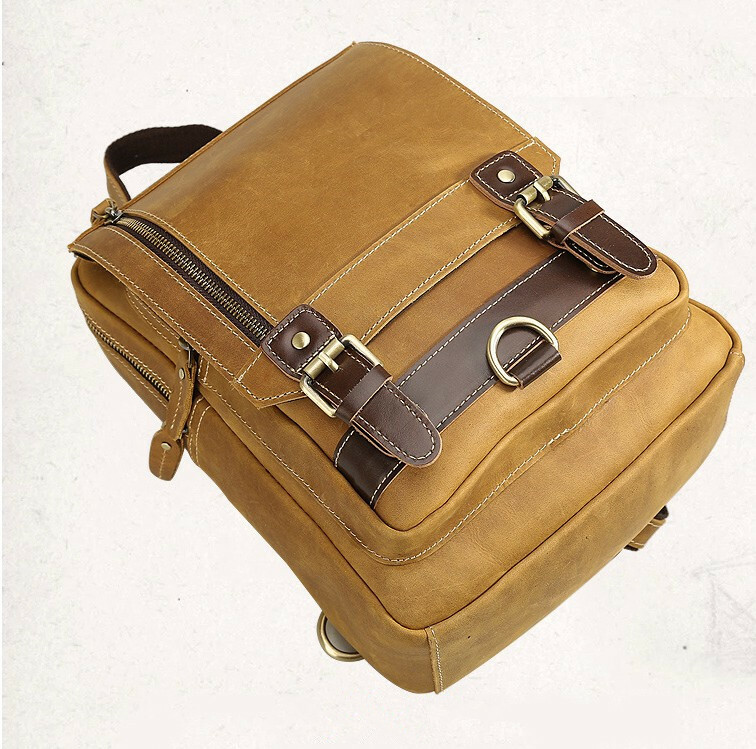 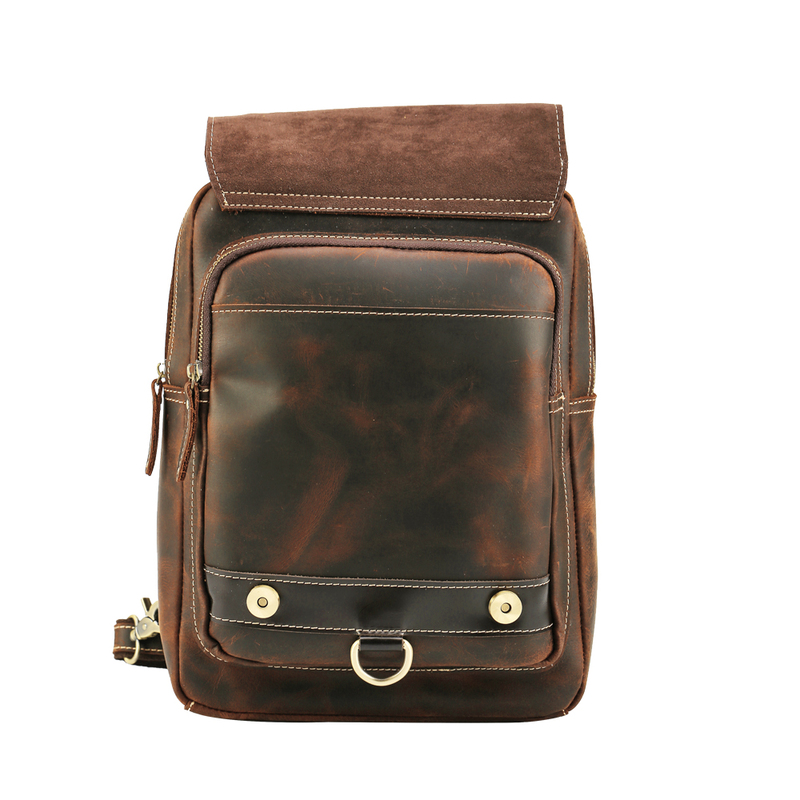 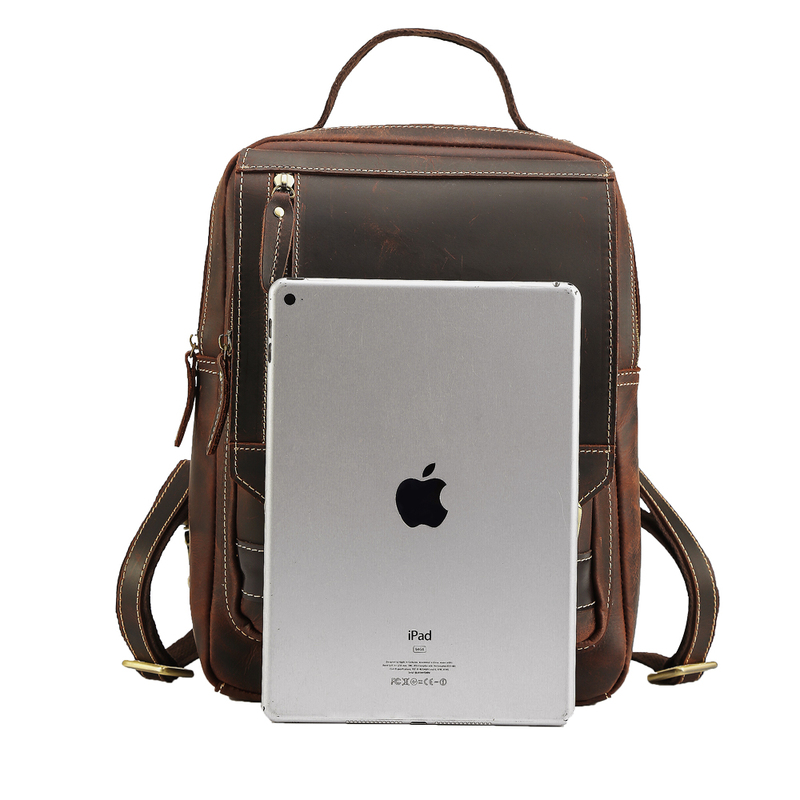 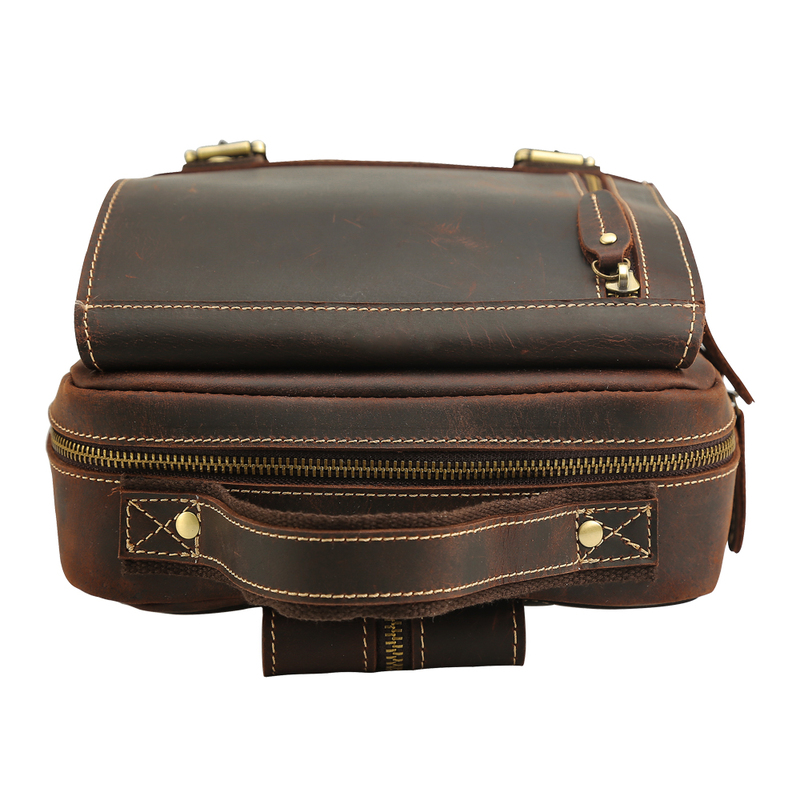 Widely Used: This Thick Genuine Leather Crossbody Backpack is perfect to be a daypack, iPad bag, leather school bag; Perfect for going to school, work, weekend holiday, biking, camping, gym,daily use, etc.